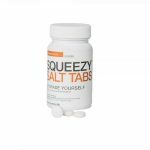 In addition to the effective energy supply of carbohydrates through our Energy Gel, the SQUEEZY.. The flavor is coconut / pineapple. The new SQUEEZY ENERGY DRINK coconut / pineapple tastes.. The road cycling season is about to start. Soon you will be riding your favourite..
About the Blast The Blast is our perfect entry level 29er hardtail mountain bike. It..
RIDLEY Blast Acera Available size “M” (rider’s height 170-178cm) Offroad – MTB – Hardtail Frame:..
For peak performance and comfort a baselayer should always be worn underneath your outer layers,..
NEW STOCK JUST ARRIVED! Cycling shorts are constructed of panels that contour the short to..